Had to do it. January 13th is National Rubber Ducky Day and I just happened to have some rubber duckies laying around. 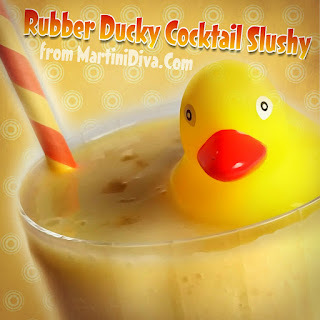 This cocktail is perfect for a pool party or just because it's fun. Leave out the booze and it's a perfectly fine mango pineapple smoothie, just not as much fun. 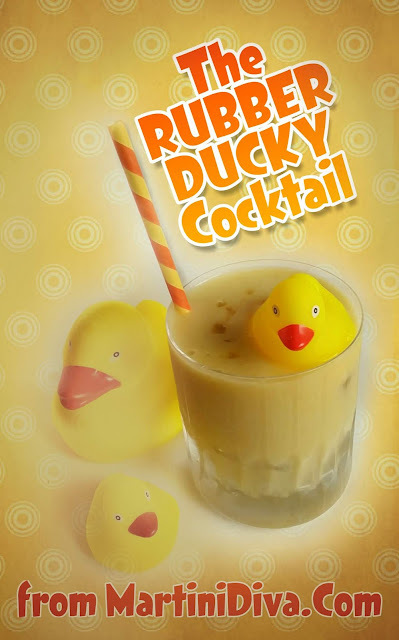 DIRECTIONS Blend ingredients together until smooth, pour into an ice filled rocks glass, tap on 3 dashes of orange bitters then float the Rubber Ducky on top and serve with a straw.